Dare Egypt’s new Parliament amend or even abolish its blasphemy law? Egypt’s Secular Party has called on President Abdel Fattah al-Sisi to support legislation which cancels the blasphemy law, because, in the words of lawyer Hamdi al-Assyouti, it has “become a tool in the hands of extremists against minorities, thinkers, and the creative impulse”. And, in his experience as a defence lawyer, 90% of charges are filed against Christians. The first session of Egypt’s new parliament is due to open on 10 January. The research confirms the Egyptian lawyer’s claim. 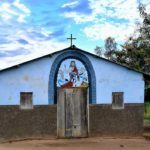 World Watch Monitor readers might have read the cases of Gamal Abdou, Gad Younan, and Bishoy Garas, each a Christian who has been tried for insulting Islam. But Muslims who question traditional interpretations of Islam are also targeted, as seen in the recent one-year prison sentence given to Islam al-Beheiry. According to the Egyptian Initiative for Personal Rights (EIPR), alleged blasphemy cases increased from three in 2011 to 12 in 2012. Thirteen cases were recorded in 2013, and of 42 defendants during that time, 27 were convicted. EIPR lead researcher Ishak Ibrahim told World Watch Monitor that 17 new cases were filed in 2015. Assyouti’s book, which he believes is the first Arabic language book of its kind to be published in Egypt, details 23 cases. But in only two cases did he say the defendants expressed actual contempt for Islam. Oftentimes social media postings provided an excuse for extremists to file charges against local Christians. Then either mob pressure in court, or a judge’s own religious conservatism, resulted in a guilty verdict. 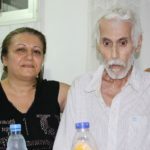 Law 98(f) of the penal code, he said, was originally passed by parliament in 1981 following deadly riots between Muslims and Christians at al-Zawiya al-Hamra in Cairo. The text of the law designates a fine or jail term “against any person who exploits religion to propagate … extremist thoughts with intent to inflame civil strife, defame or show contempt for a revealed religion … or harm national unity”. But since then, he said, “it has reversed application and become a tool in the hands of extremists against minorities, thinkers, and the creative impulse”. Articles 64 and 65 of the constitution declare freedom of belief to be “absolute” and freedom of thought and opinion to be “guaranteed”, inclusive of the right to express and publish. In their legal representation, both Assyouti and EIPR’s Ibrahim aim to convince a judge to refer a blasphemy case to the Supreme Constitutional Court. But because of the difficulty in persuading a judge to do so, some rights advocates argue for a change in the law itself, if not its outright cancellation. 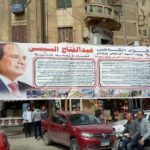 In advance of the first session of Egypt’s new parliament, the Secular Party called on President Sisi to support such legislation. 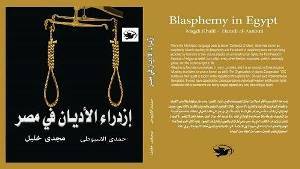 Blasphemy in Egypt’ by Hamdi al-Assyouti. Perhaps Anwar Esmat al-Sadat, nephew of the late president, will prove him wrong. Last year, during an open session in the upscale Cairo suburb of Maadi, he spoke boldly to the gathered assembly of foreigners and upper-class Egyptians. But will he? Mahmoud Farouk, head of one of Egypt’s leading liberal lobby groups, is doubtful the new parliament will take on the challenge. His Egyptian Centre for Public Policy Studies advocates not only to cancel Article 98(f), but also to remove the religion marker from national ID cards. 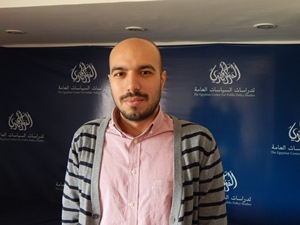 In 2014, Farouk presented his centre’s paper on freedom of belief to most of Egypt’s leading political parties. At the time he estimated that 30 per cent of party members believe in cancelling the blasphemy law. 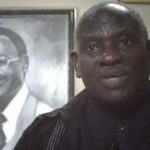 But in a follow-up conversation with World Watch Monitor, he said he thought only five per cent of the elected parliament would be brave enough to speak on this issue. The problem lies in his estimate of only 10 per cent of the population being in favour of such a change. To spread the message, he invited Paul Marshall, author of Silenced: How Apostasy and Blasphemy Codes are Choking Freedom Worldwide, to a public lecture, and promoted the Arabic version of his book online. But similar translation efforts, such as Brian Whitaker’s Arabs without God, can reach only a limited segment of Egypt’s population. For this reason, Farouk wants to lobby directly, but quietly. 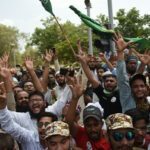 Of the major political parties, he sees the Free Egyptians Party (FEP) as one of the few ideologically inclined to support changes to the blasphemy law. Osama al-Ghazali Harb, one of their leading figures, who only recently resigned, penned an article in Egypt’s largest daily calling the law a “disgrace”. But though the FEP is the largest party in parliament, with 65 seats, they are dwarfed by the non-ideological independents that make up just over half of the 596-member body. But even among these, Farouk sees possibility. Given the current depoliticised playing field, many might not actively stand in the way of greater religious freedom if it does not cost them. Given President Sisi’s many statements about the need to reform religious discourse, rights advocates wonder if the atmosphere has ever been better. Farouk said the issue must be kept before parliamentarians in committee, urging them to take a stand, but like William Wilberforce, who won his fight against slavery in the early 1800s by slowly cobbling together a coalition, Farouk knows the challenges ahead. “We have to find people who will work with us while keeping good relationships with the parties and their leaders,” he said. Until one emerges, Farouk, Ibrahim, and Assyouti labour on through each challenge. Even Blasphemy in Egypt has to fight to win a hearing, having been apparently subjected to an informal ban. Nevertheless, its back cover makes clear the stakes: Freedom of religion and belief is the first freedom, from which every other freedom emanates – speech, assembly, press, and the supreme right to life.